Amyloidosis is a complex disease in the diagnosis and treatment, in which quite often an unfavorable prognosis is given. There are many different types of disease, but the most common are primary and secondary amyloidosis. In determining the pathology at an early stage of development, a positive response to therapy is possible. Amyloidosis is a disorder of protein metabolism, which is accompanied by deposition in various tissues and organs of a specific protein called amyloid.Clinical manifestations depend on the type of disease and are mainly defined as variables. A group of systemic abnormalities called "amyloidosis" includes about 30 different types, differing in the specificity of protein disorders. The four most known are AL-amyloidosis, AA-amyloidosis, AF-amyloidosis, AH-amyloidosis. The diagnosis can be made when determining the protein in the urine or the presence of violations from the internal organs without any reason. The disease is confirmed by tissue biopsy. Therapy is mainly aimed at reducing the concentration of abnormal protein or the cause that caused the disease. Video: What is amyloidosis, what is it dangerous for, how to fight it? Amyloidosis is a systemic disorder that is divided into several types, classified as primary, secondary or familial (hereditary). Primary amyloidosis (AL ) is the most common type of systemic amyloidosis. AL is the result of an abnormality (dyscrasia) of plasma cells (such as leukocytes) in the bone marrow and is closely related to multiple myeloma. Secondary (AA) amyloidosis in its development is based on the definition of inflammatory protein serum amyloid. 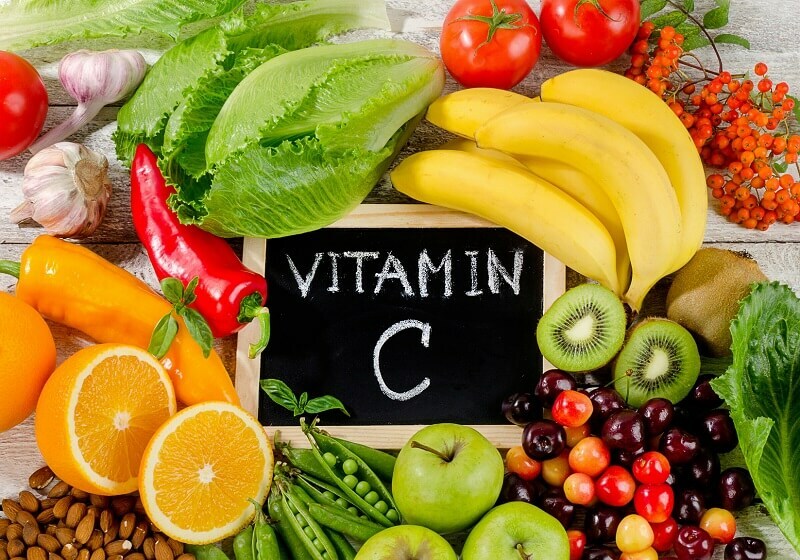 It is often combined with a chronic inflammatory disease, such as rheumatic diseases, familial Mediterranean fever, chronic inflammatory bowel disease, tuberculosis or empyema. Family amyloidosis is a rare type of amyloidosis caused by an abnormal gene. There are several abnormal genes that can cause the development of pathology, but the most common type of hereditary amyloidosis is called ATTR, caused by mutations in transthyretin (TTR). Senile amyloidosis , in which an abnormal protein is derived from dinate (normal) transthyretin, is a slowly progressive disease affecting the cardiac muscle in the elderly. Amyloid deposits can sometimes occur in isolation without signs of systemic disease. For example, this includes single bladder infection or tracheal amyloidosis - the most common types of isolated amyloidosis. Dialysis-associated beta2-microglobulin amyloidosis is a type of systemic amyloidosis that occurs in people who have long been used to remove accumulated toxins or waste from blood by mechanical filtration. This form of amyloidosis, also known as ABM2 (an amyloid associated with a beta-2m protein), arises from the aggregation of beta2-microglobulin, such as an amyloid protein, that is purified in a normally functioning kidney. Dialysis-related beta2-microglobulin amyloidosis also occurs in patients with renal failure at the end of the course of the disease. However, the disease does not appear in people with normal or moderately reduced renal function or patients after renal transplantation. Kidneys are most often affected by AL, AA and some rare hereditary forms of amyloidosis, but rarely occurs in family forms caused by mutations of transthyretin. Excessive amount of protein in the urine (proteinuria) is a common manifestation of kidney damage and often proceeds severely, which leads to nephrotic syndrome. Amyloid causes an excess of urea and other nitrogenous waste in the blood (progressive azotemia) and is the initial manifestation of renal disease. Abnormal accumulation of fluid (edema), especially the legs and abdomen, in the absence of heart failure is a sign of nephrotic syndrome. 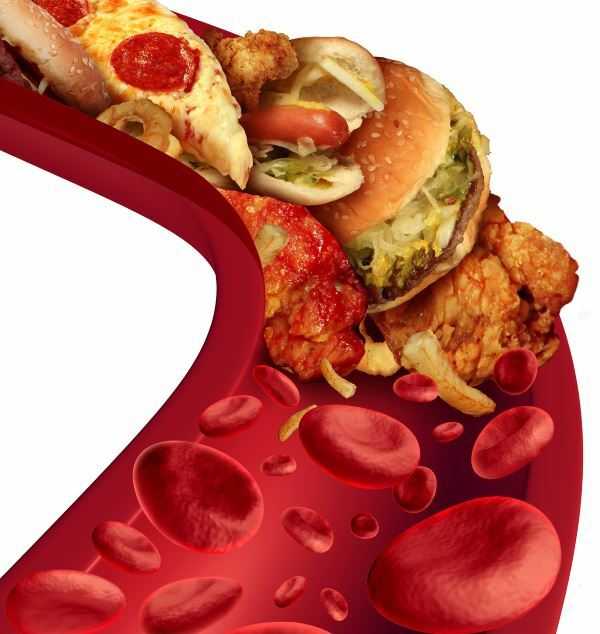 Also, the presence of excess cholesterol in the blood (hypercholesterolemia) can reach a deep degree of severity. The kidneys in amyloidosis decrease in size, turn pale and become heavier, but with amyloidosis, large kidneys are usually observed. 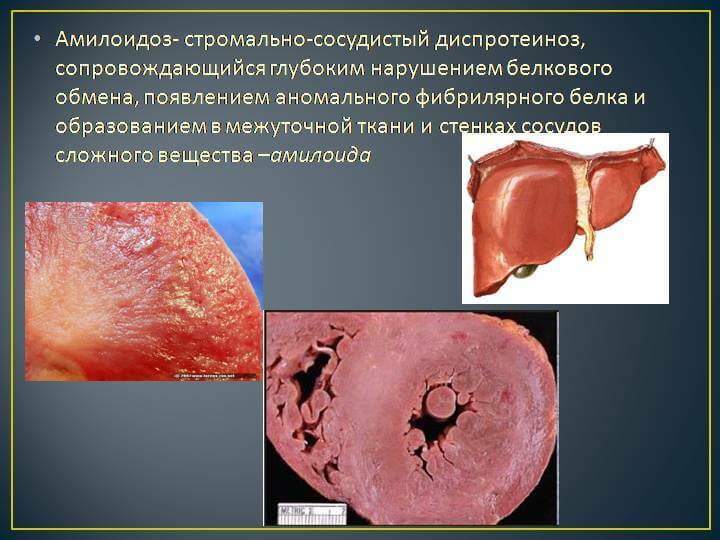 In addition, high blood pressure (hypertension) and thrombosis of the renal tissue can be determined. Amyloid can accumulate in other parts of the genitourinary system, for example in the bladder or ureters. cardiac abnormalities observed in electrocardiography (eg, low voltage of the teeth). Congestive heart failure is the most common complication of amyloidosis. Nodule amyloid deposits can be present on the shell that surrounds the heart (pericardium), and on the inner layer of the heart chambers or its valves (endocardium). motor neuropathy with loss of motion, beginning in the legs and spreading upward. The carpal tunnel syndrome is usually observed not because of direct involvement of the nerve, but rather in the infiltration of soft tissues, which contributes to the compression of the nerve. With familial amyloidosis, peripheral neuropathy is often accompanied by a vegetative neuropathy characterized by diarrhea and a decrease in the amount of sweat (hypohydrosis), a sudden drop in blood pressure when the patient rises (postural hypotension) and men have erectile dysfunction. Postural hypotension can be deep and lead to repeated syncope (syncopal) episodes. Systemic amyloidosis is not associated with the central nervous system and with Alzheimer's disease. As a rule, amyloid damage to the liver is accompanied by an increase in enzymes (especially alkaline phosphatase) and other organ functions, often found at an early stage. As a rule, liver function does not have a significant effect on the course of the disease in the late stages. Increased bilirubin is an unfavorable sign and may herald hepatic insufficiency. 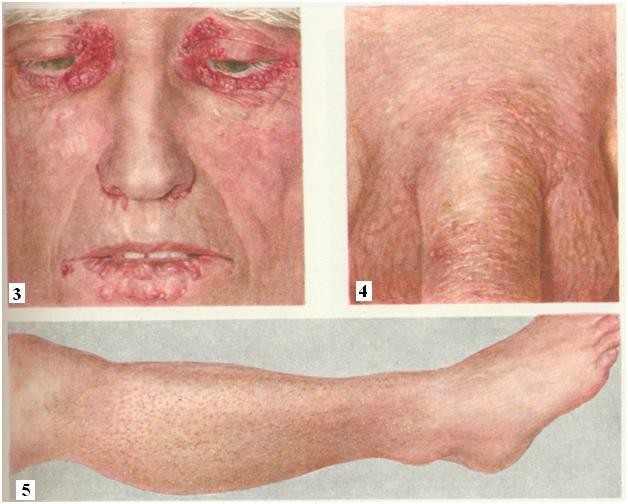 The skin is often affected by primary amyloidosis. Periorbital purpura is the result of the fragility of the capillaries and can appear after coughing, sneezing or straining with bowel movement. Often, purple lesions can occur after such simple actions as rubbing the eyelids. Infiltration of soft tissues causes macroglossy and hoarseness of the voice, although the study of the vocal cords may not reveal violations. Skin lesions are sometimes well marked or so insignificant that a microscope is required to diagnose them. Respiratory system. 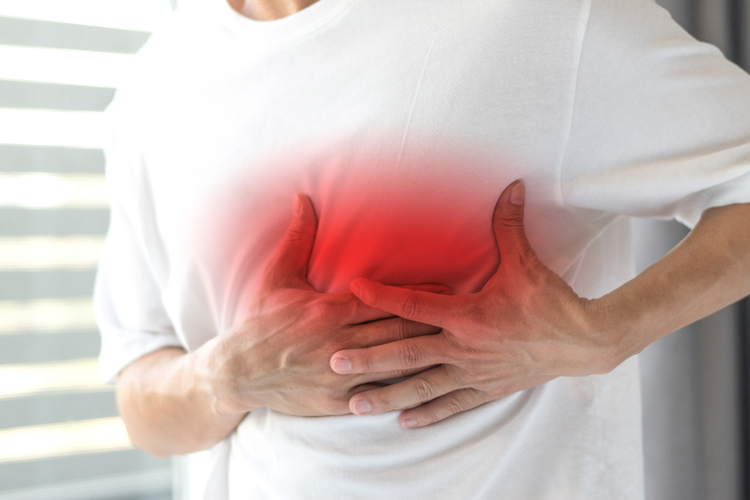 Problems with the respiratory system that are associated with amyloidosis often develop in parallel with cardiac impairment. In the localized form of amyloidosis, the airways can be blocked by amyloid deposits in the nasal sinuses, larynx, trachea and bronchial tree. The collection of fluid in the pleural space (pleural effusion) is quite common in patients with congestive heart failure due to amyloidosis. Large recurrent pleural effusions, disproportionate to the degree of heart failure, indicate pleural amyloidosis. Arthropathy occurs in amyloidosis due to the accumulation of amyloid deposits in synovial membranes. This occurs with amyloidosis of AL and sometimes with dialyzed amyloidosis. Also, the articular cartilage or synovial membrane and fluid may be involved in the pathological process. Symptoms are similar to those of rheumatoid arthritis. Amyloid deposits in muscle tissue can cause muscle weakness and muscle changes (pseudomyopathy). Symptoms of amyloidosis are also often manifested in bleeding. This may be the result of a deficiency of certain clotting factors or small amyloid deposits in the blood vessels inside the skin. Amyloidosis is caused by abnormal proteins, which contributes to the formation of fibrils in one or more organs, systems or soft tissues. These protein pools are called amyloid deposits, which are capable of causing a progressive disorder and complete dysfunction of the affected organ. Typically, proteins break down at about the same rate as produced, but unusually stable amyloid deposits precipitate faster than their destruction. The cause of primary amyloidosis (AL) is usually the dislocation of plasma cells, the acquired anomaly of plasma cells in the bone marrow with the formation of an abnormal protein. Usually, an excessive amount of protein is accumulated in the body tissues in the form of amyloid deposits. Secondary amyloidosis (AA ) is caused by the inflammatory process, which is part of the underlying disease.Approximately 50% of people with secondary amyloidosis have rheumatoid arthritis as the underlying disease. Family amyloidosis is caused by anomalies in the gene for one of several specific proteins. The most common form of hereditary amyloidosis is caused by an anomaly (mutation) in the gene for transthyretin. More than 100 different mutations in transthyretin have been reported, and the most common mutation was named V30M. TTR mutations are mainly associated with amyloidosis, which affects various organ systems. Rarely, mutations in the genes of proteins that cause amyloidosis are an affinity chain of fibrinogen A, apolipoprotein A1 and A2, helsoline, and cystatin C.
All hereditary amyloidoses are associated with an autosomal dominant type of inheritance. Most genetic diseases are determined by the status of two copies of the gene obtained from the father and one from the mother. Dominant genetic disorders occur when only one copy of an abnormal gene is required to cause a particular disease. An abnormal gene can be inherited from either parent or may be the result of a new mutation (gene change) in the affected person. The risk of transferring the abnormal gene from the affected parent to the offspring is 50% with each pregnancy. The risk is the same for men and women. However, not every person receiving a gene is ultimately able to develop amyloidosis. The exact cause of amyloidosis of beta2-microglobulin associated with dialysis is not fully understood. A normally functioning kidney can be cleared of amyloid protein, beta2-microglobulin. In some patients with prolonged dialysis or with continuous ambulatory peritoneal dialysis, the inability of the kidneys to function normally leads to an abnormal retention and accumulation of the beta2-microglobulin protein. Some people with kidney failure at the end of the stage also develop this form of amyloidosis. The diagnosis of amyloidosis is suspected after a detailed study of the medical history and clinical picture, but a biopsy of muscles, bones or adipose tissue is required to confirm the presence of amyloid. If the disease is suspected by clinical signs, a biopsy of the involved organ will give the most reliable result. The biopsy material is examined microscopically and stained with a dye called Congo-red. When the diagnosis of amyloidosis is diagnosed with tissue biopsy, extensive examination of the patient is performed, which allows to determine which organs are affected. Once the biopsy of the tissue has determined the amyloid, it is necessary to establish the type of disease. In amyloidosis, AL, plasma cell discoloration is detected in 98% of cases. In 2% of cases, B-cell lymphoma is identified as the cause of AL. The diagnosis of AL amyloidosis is confirmed by the presence of periorbital purpura, which is the result of the fragility of the capillaries, or macroglossia (an enlarged tongue). The diagnosis of hereditary amyloidosis TTR can be confirmed by performing molecular-genetic testing , which determines mutations in the TTR gene on a blood sample. In the absence of mutations of transthyretin, very rare forms of familial amyloid may be present. If the patient is an elderly person with clinically isolated heart failure, the most likely diagnosis is senile systemic amyloidosis. This is a condition in which dystrophic (normal) transthyretin is deposited in the heart. Specific immunostaining (eg, immunoglossal electron microscopy) is available at specialized centers and is a highly specific test for determining the type of amyloid. In complex diagnostic cases, mass spectrometry is able to accurately determine the molecular structure of amyloid deposits - this technique is used increasingly. A method called scanning radioactive labeled serum of amyloid P is available in several centers in Europe that specialize in amyloidosis. 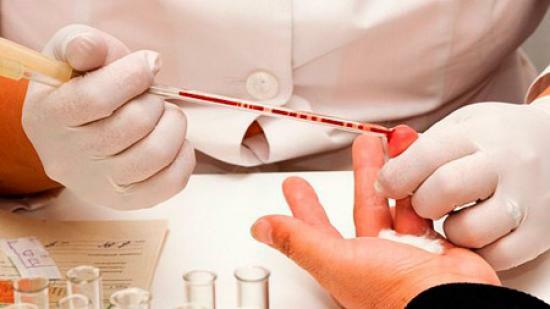 This test is used to control the accumulation of amyloid deposits. In patients with prolonged dialysis or with renal insufficiency, laboratory tests can be carried out at the final stage that will allow blood or urine samples to be analyzed to detect elevated levels of the B2M protein. The treatment strategy depends on the type of amyloidosis and the clinical condition of the patient. In amyloidosis, AL is caused by an abnormal leukocyte cell (usually a plasma cell), and therefore the basis of this type of amyloidosis therapy is chemotherapy aimed at eradicating these cells. For many years, melphalan and dexamethasone have been used with oral or intravenous routes, often combined with autologous stem cell support. Both drugs are equally effective, but the treatment and side effects are different. A high dose of melphalan with stem cell support is a course treatment that often includes a 2-3-week hospital stay and several months of recovery. The use of the oral form of melphalan in monthly courses is less toxic, but is associated with a higher risk of developing leukemia. Newer drugs that are active against multiple myeloma (another abnormal plasma cell disease), such as bortezomib or lenalidomide, are also very effective against AL and have been shown to give some benefit to patients with a relapsing disease. Often these drugs are included in the preliminary treatment. Currently, most patients who do not use melphalan with a high dose with stem cell support receive avant-garde therapy.The combination of bortezomib, cyclophosphamide and dexamethasone is associated with good tolerability and rapid responses. Treatment of amyloidosis for any patient should be made personally, taking into account the peculiarities of the situation. The two most important factors of long-term survival with AL are the presence / degree of heart damage and the hematological response to therapy. There are several new drugs designed to stimulate the resorption of amyloid from the affected organs. Their use can provide the ability to treat sick organs directly. The most advanced of these studies is with NEOD001, which has shown some benefit for patients whose underlying plasma cell disease has already been treated. At present, the method is being studied in combination with bortezomib therapy in the initial stage. Supportive therapy (treatment of congestive heart failure, attention to nutrition, treatment of autonomic neuropathy, etc.) is a very important element of drug exposure. Given the complexity of the disease, it is recommended that the treatment be carried out in a specialized center for amyloidosis or, at least, the patient must undergo an initial evaluation in such a medical institution with continuation of treatment at the place of residence. Family amyloidosis is eliminated, if possible, by removing the underlying cause of abnormal TTP production. Since the liver is the dominant source, organ transplantation is currently the preferred choice for carefully selected patients whose illness is at an acceptable stage of development. Tafamidis is a drug recently approved for the therapy of familial amyloid polyneuropathy. This drug is tested in current trials for other forms of the disease. Patysirane and revusiran are also tested for the effect on the ATTR of the amyloidosis form, with the orientation directed to lowering the levels of TTR that forms the amyloid. Consultation with a geneticist is recommended to all persons with hereditary amyloidosis and members of their families. In senile amyloidosis, therapy is beneficial, but both for this form of disease and for ATTR, pharmacological treatment methods aimed at stabilizing the molecule of transthyretin are actively studied, which will prevent the formation of amyloids. Secondary treatment of amyloidosis is based on the therapy of the main disease. For example, kidney transplantation can be performed with renal failure due to secondary amyloidosis. In March 2015, the US Drug and Drug Administration (FDA) authorized the use of a medical device called Aheresis Column Lixelle Beta 2-microglobulin to treat amyloidosis of beta2-microglobulin associated with dialysis. The work of the device is based on the removal of beta-2-microglobulin from the blood.